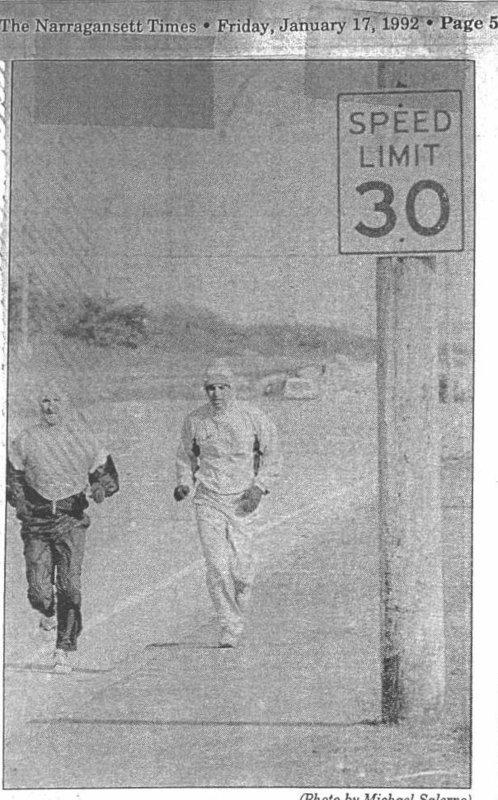 Here’s an old photo, from the January 17, 1992 issue of the Narragansett Times. These runners, one of whom is a current NRA member, are facing a 0-degree windchill. 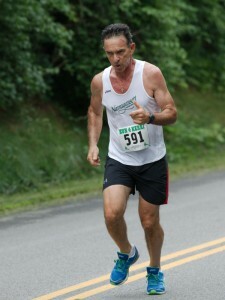 I can identify the runner, but not the precise location. 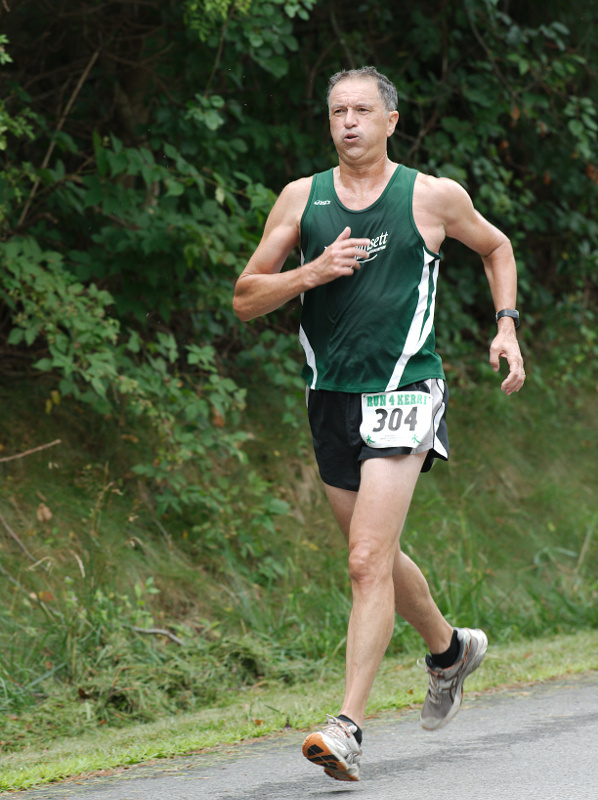 The NRA had a great showing at several races this month, starting with the Run 4 Kerri, leading into the Bobby Doyle 5 Miler, followed by the Battle of Stonington 5K, and finishing up with the Roger Schoning 5K. 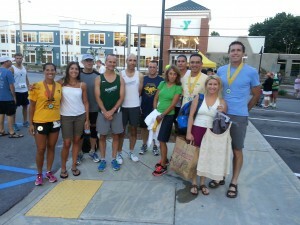 In all of these races, the NRA celebrated many age group placings, as well as a PR in the 5K. At the Run 4 Kerri, Claire Gadrow, Pat Ferrigno, Amy Rice, Terri Martland, Ray Isacco and Fred Zuleger III, all took home age group awards. Kaela O’Neil was 4th overall for the female elite division. Way to go runners! Jeff Vuono, Amy Rice, and Joe Behl took 1st and 2nd place age group awards home at the Bobby Doyle 5 Miler; a strong group of athletes. No doubt, Jeff biked 20 miles before and after the race, Amy swam 2 miles, biked 25, ran the race, and then did it again! 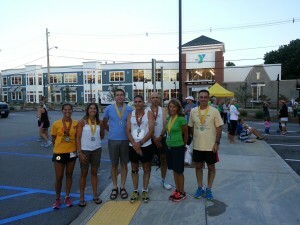 Battle of Stonington 5K age group winners were, Jeff Vuono, Claire Gadrow, Mary Camire, Pat Ferrigno and Terri Martland. These five runners can’t be stop!! They continue to dominate the field. Overall female winner, Kaela O’Neil, ran a blistering 18:06. As far as we know, she wasn’t pushing a baby stroller during the race. Congratulations everyone! The month ended with a classic, the Roger Schoning 5K, which brought back founding members of our Club; Michael Tammaro and Ellen Manocchia. Great to see these guys still pounding the pavement! 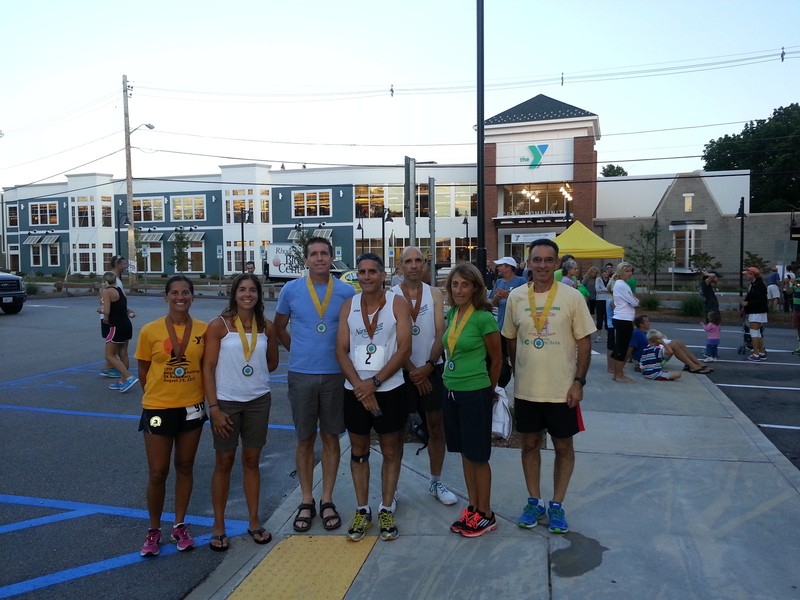 1st in age group: Michael Tammaro, Michelle San Antonio, Mary Camire, and Pat Ferrigno. Jeffrey Vuono took 2nd, and Peter Barbera Paul L’Etoile, and Lisa Garzilli placed 3rd. 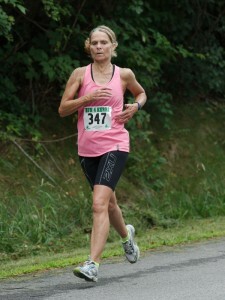 Congratulations to Lisa on her 5K PR, by more than 20 seconds! 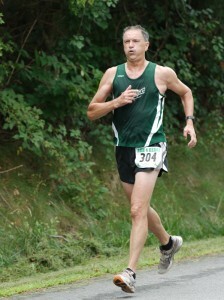 Dave Heskett takes full credit for her PR, due to his expert pacing. Let’s make September just as good!